In the highly digitalized era, the usage of papers in office has reduced to a large extent. The reason is the advent and dominance of multi-media printers, replacing the old copiers by performing multi-functional tasks such as printing, copying, scanning and faxing. In comparison to the advanced multi-tasked printers, the copiers can onlyscan the copy and generate a new one, yet they are useful in home and small offices where papers copies are required.VRS Technologies has a wide choice of Copier Rental to serve your varied printing purposes, heavy or small. 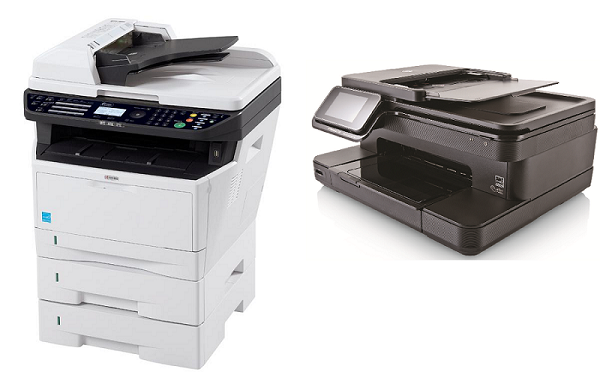 While looking for the kind of copiers or printers, it is worth considering which copier would suit the purpose best. For example, laser jet or LED printers are highly capable of printing your text documents at a high speed. If higher resolution of printing is what you desire, especially for graphics or photographs, inkjet printers would do. The printers meant for small office purposes are usually not for heavy printing needs. You should see if the cartridgeof the particular printer is offering a high volume of copies or not. Settling for a low cost printer for the most basic needs and renting a printer for the heavy printing needs is an ideal option. This feature allows printing on both sides and mostlyprofessional copies are compelled by it. To promote a business, promotional material like brochures are essential and a black and white copier would just not be the one to look for. For specific purposes like this, opted for a colour printer would be beneficial. You could also check if the printer comes with more options of network connectivity like the wiki or wired or may be both unlike connecting the USB directly to the PC. If you are on the constant use of the copier, refilling the papers should not be your duty most of the time. Hence, ensuring if the copier can accommodate higher number of sheets in the paper tray is an important consideration. Some copiers take a few minutes to get back from the sleep mode and warm up for initiating the printing. Even if the speed offered by some printers is great, it should be checkedif theprinters begin to print in the first few seconds. Contact VRS Technologies at +971-55-5182748 and approach us for your printer rental needs or refer to our website www.vrscomputers.com for further detail.